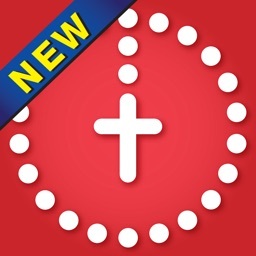 The simplicity of this app allows you to pray the Chaplet of the Divine Mercy easily anywhere you go. 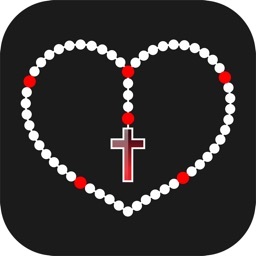 This prayer, traditionally prayed on rosary beads, is specially designed to work beautifully on your mobile devices. 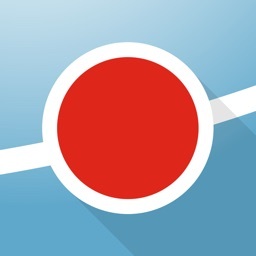 You can simply swipe the screen to move to the next “bead”. 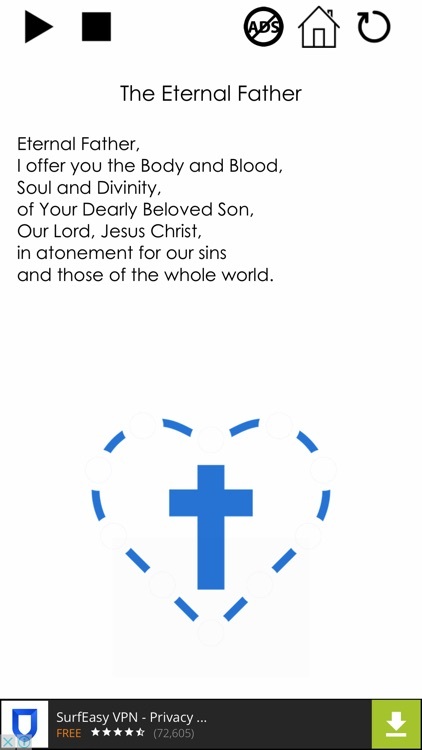 We have also included the audio version of this prayer (Source: Discerning Hearts) so that you can continue to have access to this prayer in times when you are unable to read it. 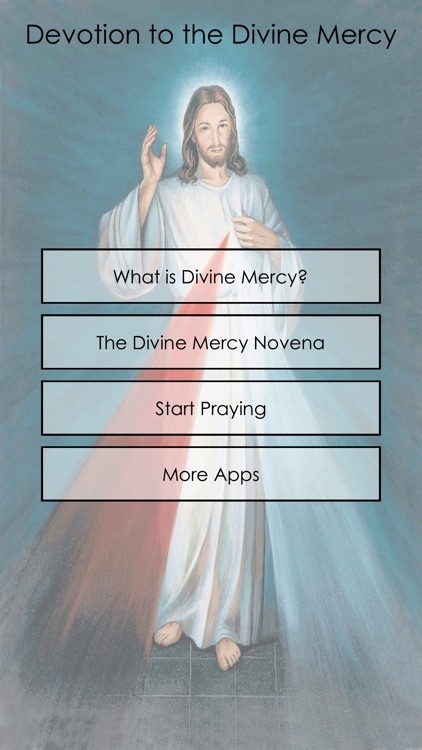 We hope that this app will encourage you to pray the Divine Mercy Chaplet regularly to enrich your soul and life. 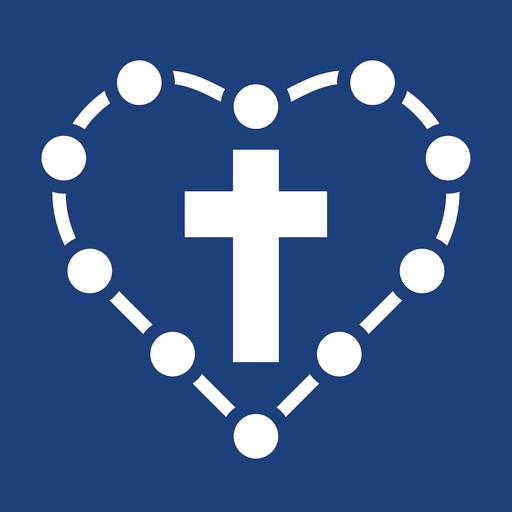 The chaplet may be repeated over a period of nine days as part of a novena. 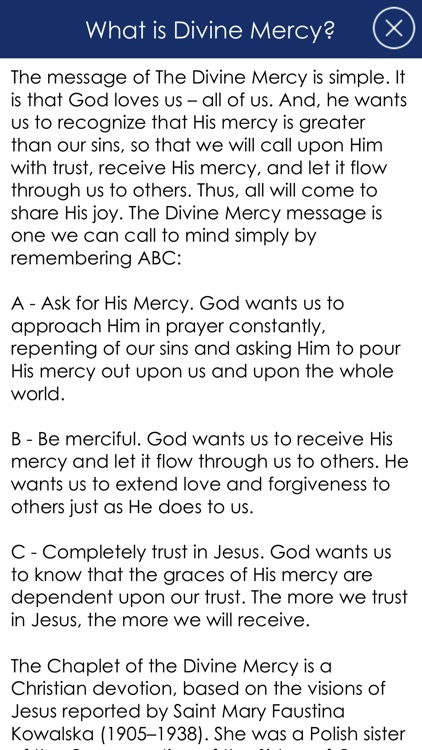 There is a prayer intention for specific group of people on each of the nine days. 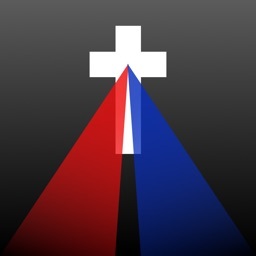 The last day intention – according to Jesus' message to St. Faustina – is the most difficult of all that is to pray for the people who are lukewarm and indifferent. * First Day – all mankind, in particular all sinners. * Second Day – the souls of priests and the religious. 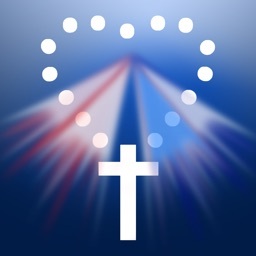 * Third Day – the souls of the devout and faithful people. 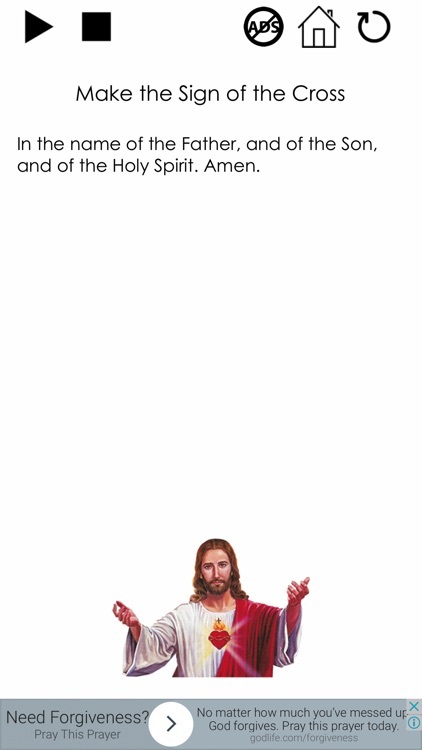 * Fourth Day – for the non-believers and those who do not yet know Jesus. * Fifth Day – the souls of heretics and schismatics. * Sixth Day – the souls of "the meek and humble" and for little children. 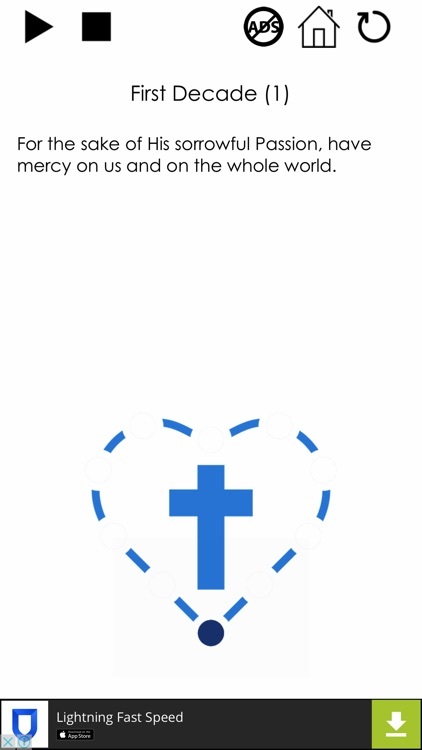 * Seventh Day – the souls of people who especially glorify Christ's mercy. * Eighth Day – souls in Purgatory. * Ninth Day – souls who have become lukewarm and indifferent.